Blooom a soil-to-shelf AgTech platform develops new technology solutions in agricultural production, sanitation and services to improve lives, reduce poverty and empower people in rural areas. DAISA Enterprises, supported by funding from the Grand Challenges India and the Bill & Melinda Gates Foundation, provided a value chain analysis and new health market development strategies to support the innovative and successful VeggieKart produce distribution business. These projects and Blooom have been recognized by the UN Chief for their efforts to reduce poverty and promote sustainable development. See article﻿ here﻿. 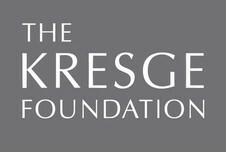 The Kresge Foundation works to expand opportunities in America's cities through grant-making and investing in arts and culture, education, environment, health, human services, community development in Detroit. DAISA Enterprises served as the National Program Office for the Kresge Program "Fresh, Local & Equitable: Food as a Creative Platform for Neighborhood Revitalization". Harvard Pilgrim Health Care Foundation is the philanthropic community investment side of the health care organization whose mission is to improve the quality and value of healthcare for the people and communities it serves. DAISA Enterprises, along with Catherine Sands from Fertile Ground, have provided critical design and evaluation services and expertise for the Foundation's Healthy Food Fund, affording grants to 20+ organizations building access to fresh food in CT, MA, ME, and NH. Project Bread approaches ending hunger through healthy food. Working throughout Massachusetts the organization leads a variety of research, community mobilization, and food security initiatives. DAISA Enterprises provided strategic advice to the Executive Director around plans for new community-based initiatives as well as how to best impact legislation. Wholeshare is a venture capital-funded start-up company based in San Francisco. Using a web platform for buying groups, and direct community deliveries, Wholeshare makes healthy food and sustainable products more accessible and affordable to purchase. DAISA Enterprises identified and built partnerships and strategies for Wholeshare enabling them to efficiently and successfully scale the program. The Erb Family Foundation supports environmental conservation and the arts in Metropolitan Detroit and the Great Lakes region. DAISA Enterprises has provided business planning analysis and technical assistance support for the Recovery Park project; an urban agriculture social enterprise to provide jobs for recovering citizens in Detroit. Society for Organizational Learning is the consulting and training initiative of Peter Senge, MIT Sloan professor and author of the influential best-selling business book, The Fifth Discipline. DAISA Enterprises helped facilitate multi-stakeholder visioning and project work to protect critical eco-systems of Baja California Sur, Mexico. Participants included small-boat fisherman cooperatives, the tourism industry, government, and international conservation NGOs. Develop Springfield is a nonprofit corporation advancing urban redevelopment in the City of Springfield, MA, to strengthen the City’s economy and improve the quality of life for the residents. DAISA Enterprises collaborated with the Economic Development Assistance Consortium to prepare an application for funding (to the Health & Human Services’ Community Economic Development Program) to support Develop Springfield’s plan to develop a desperately needed new supermarket in a food-insecure neighborhood. Growing Places believes in the power of gardening to change lives and uses gardening as a platform for social change in North Central Massachusetts. Nuestras Raíces​ is a community development corporation with a nationally recognized model for “agri-cultural” development growing from its majority Puerto Rican community. DAISA Enterprises advised Nuestras Raíces on fundraising strategy and grants, with 2015 awards totaling over $850,000 and providing financing for the growth of the organization's ajices dulces Puerto Rican sweet pepper production social enterprise.